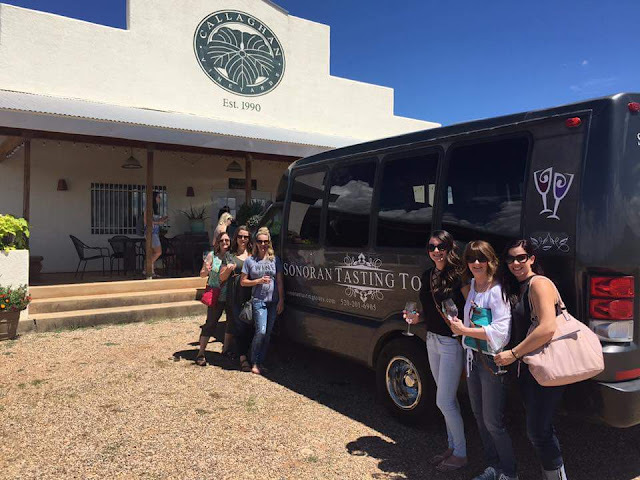 This is the second time our little girls group used this company for wine tastings. The first time was in Willcox, AZ and just recently in Sonoita. 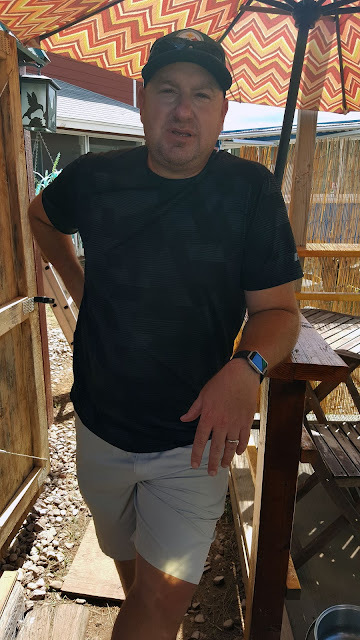 Our driver for both trips was Tony. He was amazing and patient especially at the end when the wine clearly made us loud and goofy. 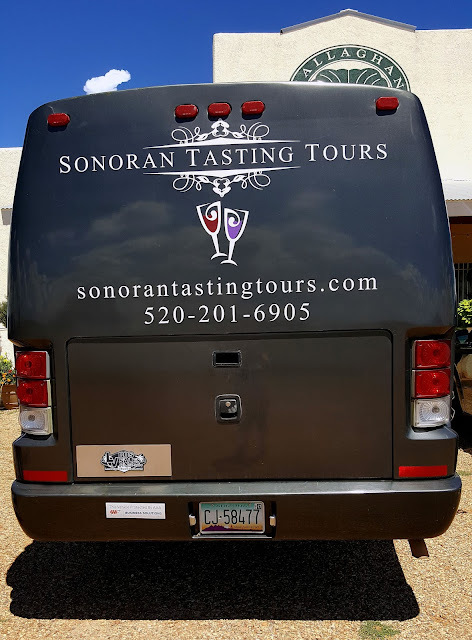 I highly recommend using this company for wine tastings in the Sonoita and Willcox areas. 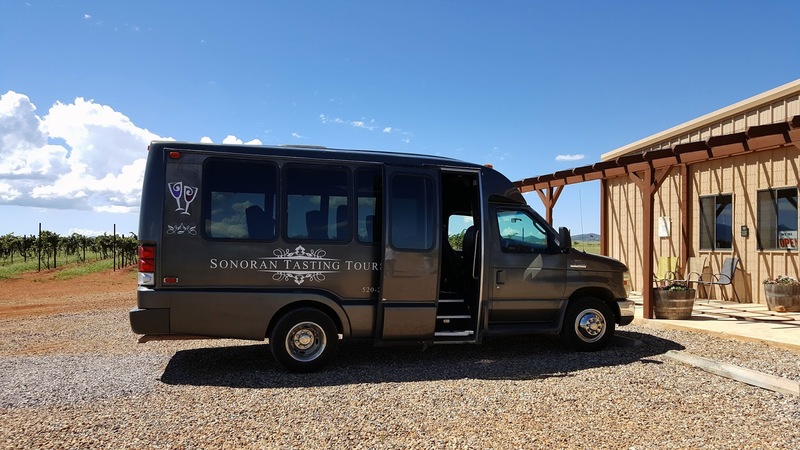 On this last trip in Sonoita, we were in a large air conditioned van which had enough room for the six of us, a bridal party of four, and a couple of friends. We had snacks and plenty of water to keep hydrated during the tastings. Tony took us to two places in the morning, then lunch, and two more places after that. It took the whole day. Check their website for prices. 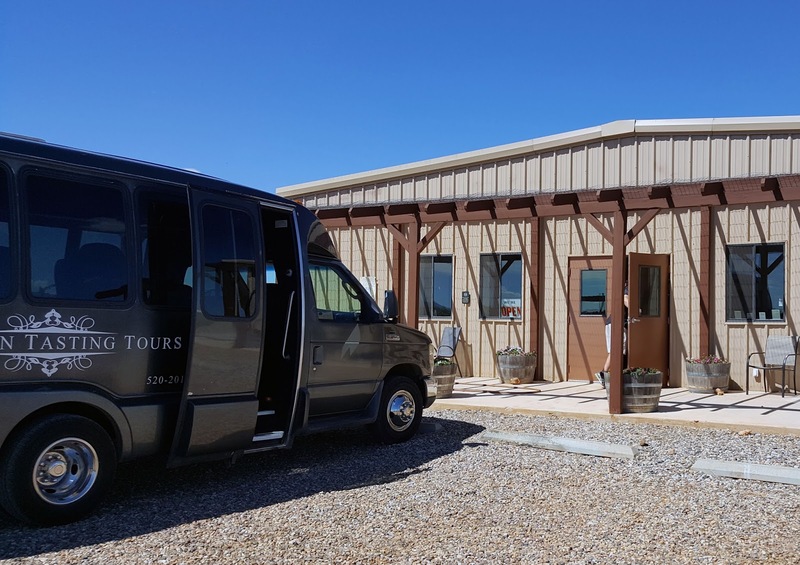 The price includes being picked up wherever you are staying, four wine tastings, and lunch. Tips are separate. 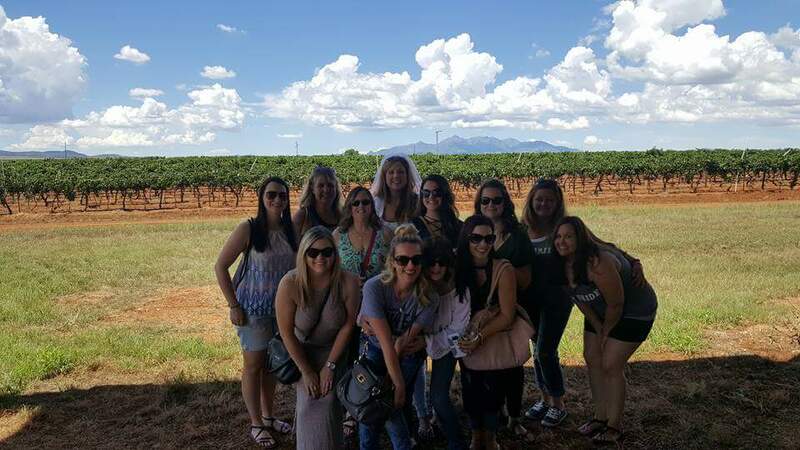 We had fun partying with the other ladies and tasting various wines and cider. Good times had by all. My group of family and friends. This is all the ladies Tony had in his van that day. Great group!